Are you caught up in the battle of the clans? Let’s face it, most of us are categorized, sorted, and organized by a young age. When we are young, these labels are pinned on us and if we are lucky, we can choose to embrace them or leave them behind. It seems that during our adolescent years nothing is more important than the labels we give ourselves as we search for our place in the world. As we mature into ourselves, the passing of time and the frenetic pace of our lives tends to lighten this load, this process of labeling; sometimes we are just too busy to bother. When we embark on a health journey, whether it be diet and exercise related or not, we tend to embrace the label of our new group-our clan. We use our new clan labels to not only express who we are, but what we lift and how we eat. In order to keep up with the ever-changing world of our bodies, we should not entirely discount the views of others. Perspectives are important. I had a good example of this come up after the holidays, during my house-wide shakedown of all things Christmas. I undertook the winter reorganizational purge that seems to grip me every year, although this year it has been extremely vigorous. 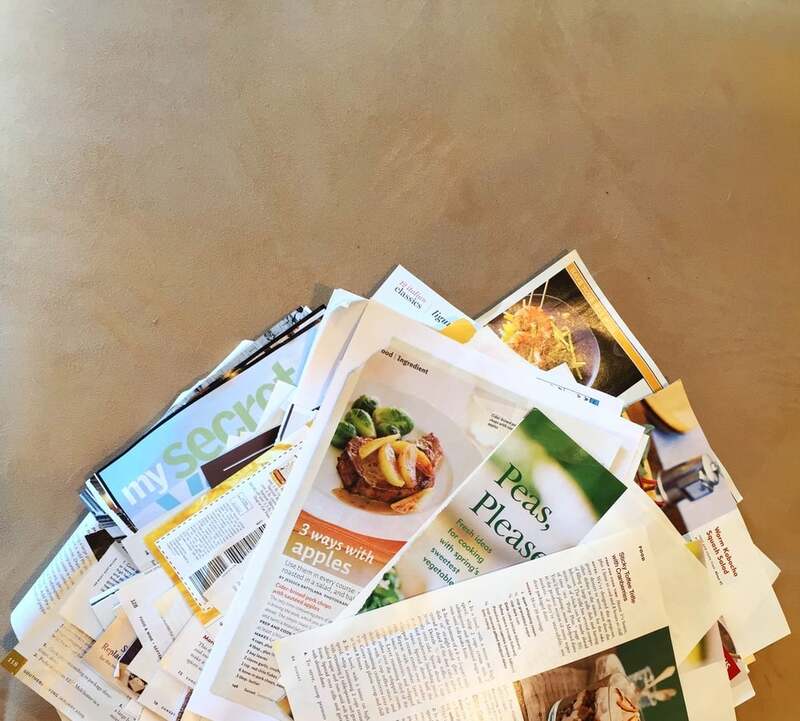 I came upon several piles of recipes I had been stock-piling for eight years…yes, eight years. Clipped, torn and stapled masses, some several inches thick needed to be dealt with if I was going to cram more decorations into that already full cabinet. After flipping through just the first few, I realized how much my eating patterns had changed over the years. Non-fat recipes mingled with cakes coated in crushed candy canes and the ever-present ode to Italian dishes loaded with pasta and covered in cheese. This was not who I was anymore. This was not how I ate. My first instinct was to just dump the whole pile, after all , I was a Paleo Girl now, what use did I have for grains, cheese and candy canes? The pile sat for several days, and I was finally able to return to it with a new perspective. If I just tossed out the lot, I would be missing some amazing dishes, new cooking techniques and combinations of interesting spices. I would be missing the learning. In the end, I sat for a few hours and gave the pile my full attention. Sorting through the pile was, in a way, like looking through a scrapbook, it reminded me of who I was and how I got here. I learned a lot about myself during this sorting experiment. My missing teeth and Farrah Fawcett hair do were hard to ignore. It helped me to acknowledge and honor the hard work that I have done in order to improve and nourish myself. Sometimes it was awkward and ugly, but in the end it helped me to become my true self. The lesson for me is to not be so committed and overzealous in my new lifestyle that I forget to learn. We all have so much to offer each other. The structure, support and protection of our clan needs to move beyond its immediate members to embrace the bigger clan of humanity, for our struggles to find health and wellness are the same. The clan of humanity, that is our true tribe. Years of symptoms that would come and go didn’t help. There is that day when you wake up and realize you are not well. The tricky part is, this didn’t happen over night, there where signs, sometimes daily, sometimes occasionally, and they went without attention. How did I get to this point and what do I do now? My journey with nutritional therapy began out of necessity. I’d like to say that I have always been passionate about nutrition and health, but that would be only a half-truth. As a nurse, I was of course interested in health and wellness, but I saw this through the lense of our traditional medical system and what I was taught in nursing school. Nutrition was something that was taught in a disease model-If you have XYZ, then you should eat this and not that; there was little attention to what a body needs to function and balance itself. The balance in my life had certainly been out of whack for quite a while. When I really look back on this now, it extends all the way back to middle school. I was the weak PE student who had unexplained knee and leg pain who couldn’t run the laps. I was the student who was so drowsy after lunch everyday that I got marked down on participation in class. I was the student with intermittent constipation that would often have me in tears. But what does this all mean? No one ever asked why, no one ever connected the dots. Jump ahead to college and add in a heavy workload, hospital training, irregular sleep, caffeine and poor food choices. Not only had I carried on with my low fat, chicken only diet, but threw in more diet soda and rhammen noodles to add fuel to the fire. Late night subs, pasta bar…who wouldn’t have loved that? I went out into the world of hospital work- rotating 12 hour shifts, day-night, weekend and holidays. More caffeine was added, along with more carbohydrates and sugar to keep me going. And go I went. I went to the vascular surgeon. I went to the therapist. I had two beautiful children. I was super mom , super wife, super volunteer, super home-schooler. Then I was super sick. I continued to go to my healthcare practitioner and was finally told I had low thyroid and was given a prescription. Sleep difficulties-swinging from waking at 3 am every night to sleeping for 10-12 hours a day and still feeling like I had been run over. But my lab work was “normal”. After a series of emotionally traumatic events, I had a mini-breakdown. I left my job and spent three months in my pajamas, watching Everybody Loves Raymond and The West Wing-binging on TV while I binged on big bowls of oatmeal with honey and pots of coffee with steamy milk. Comfort food for the weary. And oh how weary I was. I could sleep for 10-12 hours, wake up and have my oatmeal and coffee, and need a nap an hour later. I would forget words and was sometimes unable to form sentences. My balance was not normal. I would drop things. But my lab work was “normal." Are you on thyroid medication, but still have all these symptoms? Come to a free information session about what might be happening and why. WHY WHY! Someone was finally asking why! The door was open. In one hour, I was introduced to the world of gluten intolerance, digestive function and immune response. Could this be the answer? I had more specific lab work done that looked deeper into my immune function and thyroid labs. Congratulations! You have an autoimmune disease! Hashimoto’s Thyroiditis. It is a strange thing when you finally get an answer to the why. There is a huge sense of relief, of validation – I am not crazy after all. But what comes after the why? What do you do? Can you do anything? Where do you start? There is fear, doubt and mourning for what your life was and how it must change to support your getting better. Over the next few months with this new practitioner, I was told to do an elimination diet, take a bag –full of supplements and have frequent lab work drawn. I learned a few things from them, but felt like a guiena pig most of the time-it was clear they were new to this type of care. I did not feel cared for. I did not feel there was a plan. I had the epiphany one day – If I wanted answers I would find them myself. I was my best advocate. I knew my body better than anyone else. I would ask the why questions. I would connect the dots. Through months of research, things kept coming back to the same starting point…Nutrition. Nutrition is the key to health and wellbeing. You have to start at the cellular level in order to build the body that works for you and with you. If you build it, health will come. 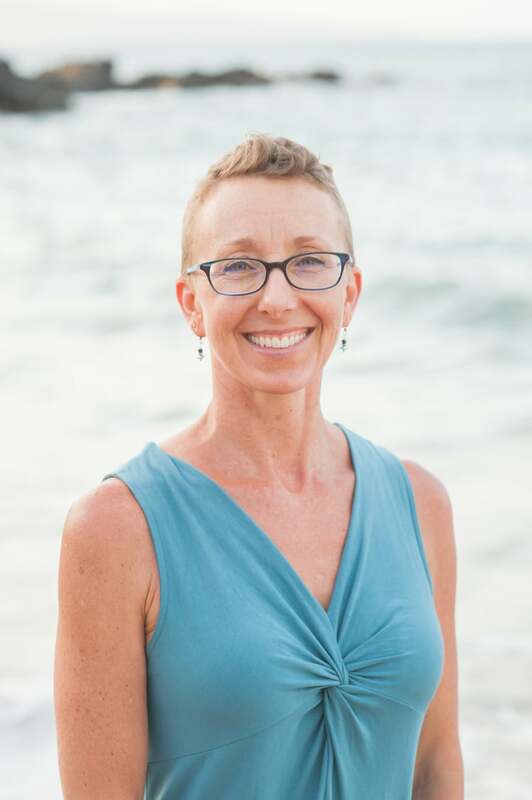 After using the foundations of nutrition, I knew I needed to do something to expand my knowledge even further, and to later share that knowledge with others who are struggling with their health and feel unheard .This lead me to go back to school and become a nutritional therapy practitioner. I am 90% symptom free. I sleep well. I am happy. Nutrition saved my life. Nutrition is not dieting. Nutrition is having a diet that works for your body. Bio individual nutritional focus is available to all. So I encourage you to ask your why questions and connect your dots.